I spent a lot of time in the kitchen yesterday in preparation for the Paleo Diet. I made a few nut butters (which I will post about another time), some snack items, and, of course, all of my meals. Who knew cooking from only fresh ingredients took so long? Just kidding. Kind of. 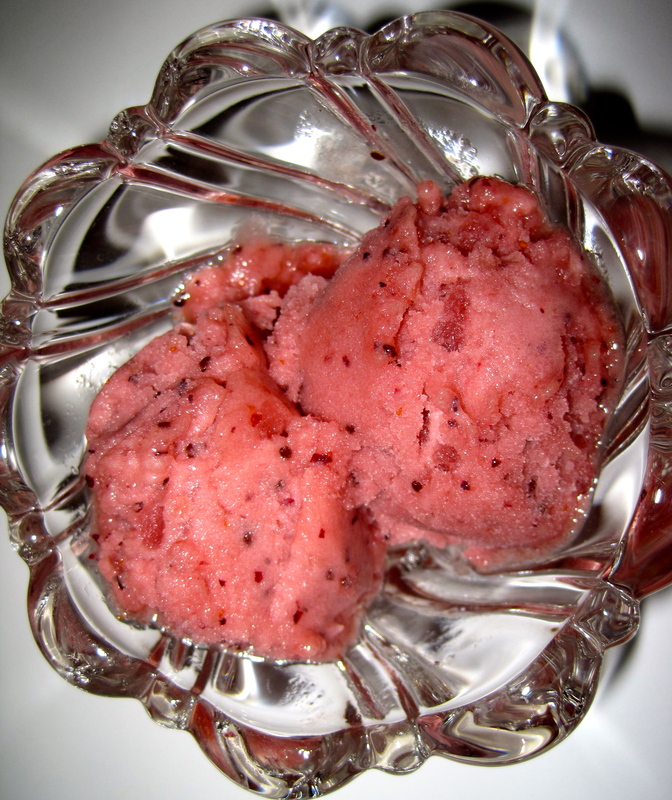 Anyway, the champion of yesterday’s cooking endeavors was undoubtedly the sorbet I made. I adapted my recipe from this website, but tweaked it to my liking and to make it Paleo-friendly. Bring the water, sugar (or agave nectar for Paleo), and 2 tbsp honey to a boil (save the extra tbsp for the next part). After it starts to boil, keep it on low heat for 5-7 minutes, then set aside to cool. In a food processor, puree the kiwis, blueberries, lime juice, and remaining tablespoon of honey. Combine the syrup mixture and the puree, and allow to cool in the refrigerator for 2 hours (or in the freezer for 20 minutes if you’re impatient like me). Add to ice cream maker and freeze according to the manufacturer’s instructions. Keep an occasional eye on it so you can see when it reaches the consistency you’re hoping for! I prefer my sorbet to be a little soft so it feels like I’ve ordered it from a gelateria. Simple. Beautiful. Delicious. What else could you ask for? 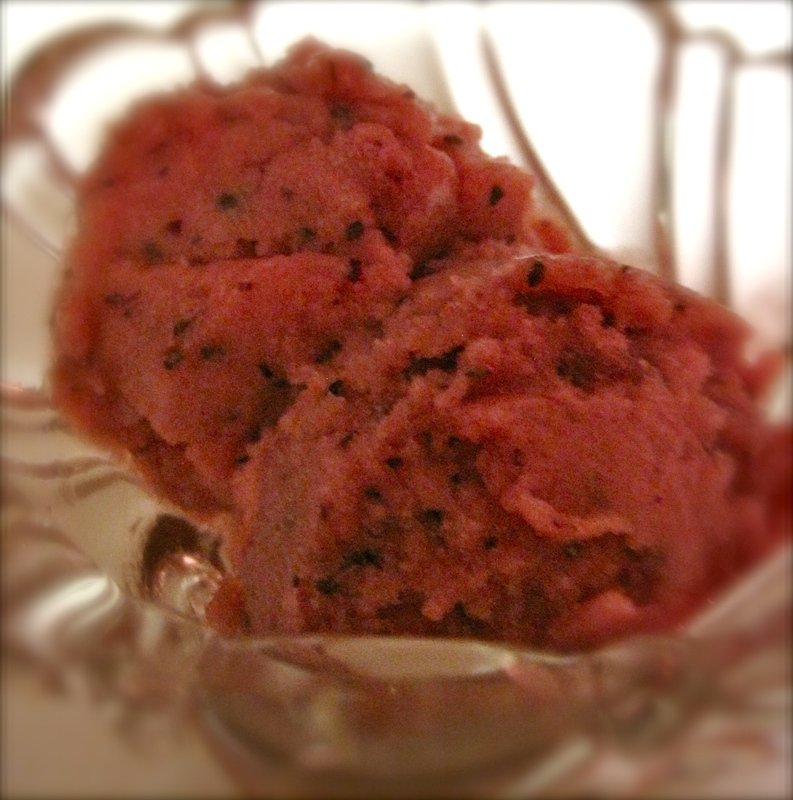 This entry was posted in Paleo, Recipes and tagged paleo diet, recipes, simple, sorbet. Bookmark the permalink. Thanks for posting this! I really want to make this, looks delicious!! Do you have to use an Icecream maker? Where did you get it from? We’ve had our ice cream maker for years (which I had never known…it could have made my childhood so much more indulgent! ), so I don’t actually know where ours is from. I know you can get one for around $30 at Amazon.com or probably even Wal Mart! If you don’t have an ice cream maker, then use a covered metal bowl instead. Freeze the pureed mixture for about 3 hours or so–until it looks hard on the outside but slushy in the middle. Remove it from the freezer, beat it with a whisk until it’s smooth again, and then put it back in the freezer until firm (around 3-4 hours). I got this tip from here! I’ve been doing a “real foods” diet for about 8 months now.. but have been toying with idea of trying Paleo for a while… Just not sure if I’m ready to give up grains and dairy altogether – though I have given up all processed grains and sugars (fortunately it doesn’t affect me the same way!) You’ll have to let me know how it goes – because I know an anti-inflammatory diet like this is fantastic!